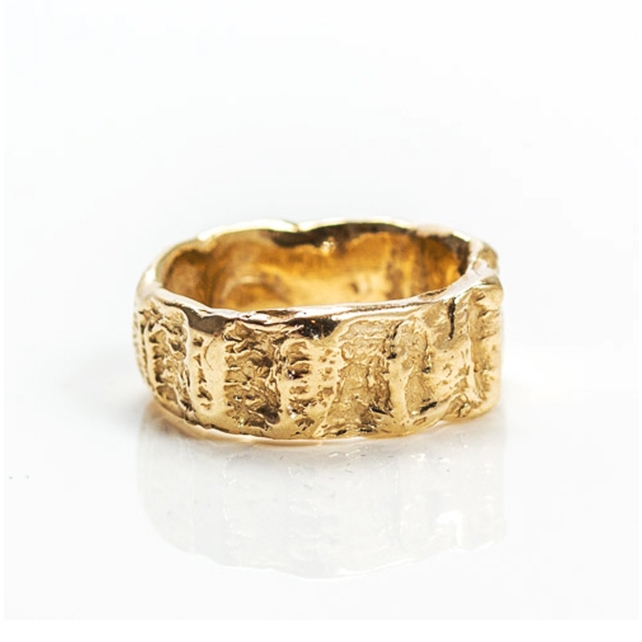 This chunky textured ring can be created from either sterling silver or 9ct yellow or rose gold (as seen in the gallery images). 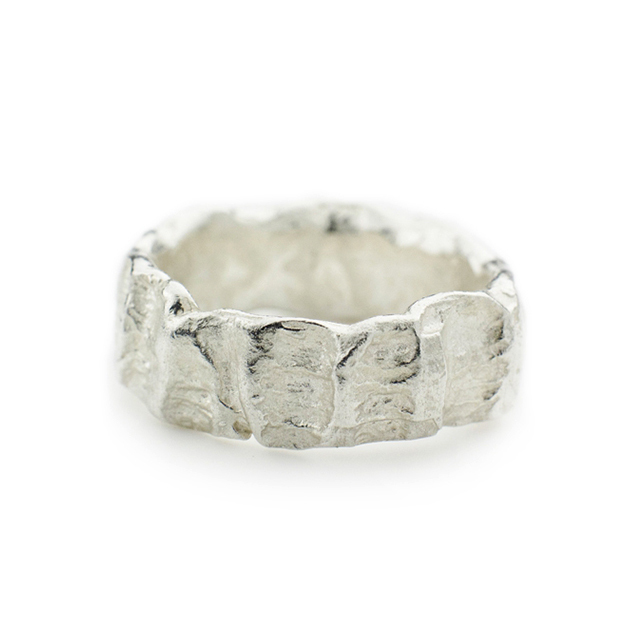 The ring holds a nice weight to it and the unique finish certainly makes it an eye-catching piece. 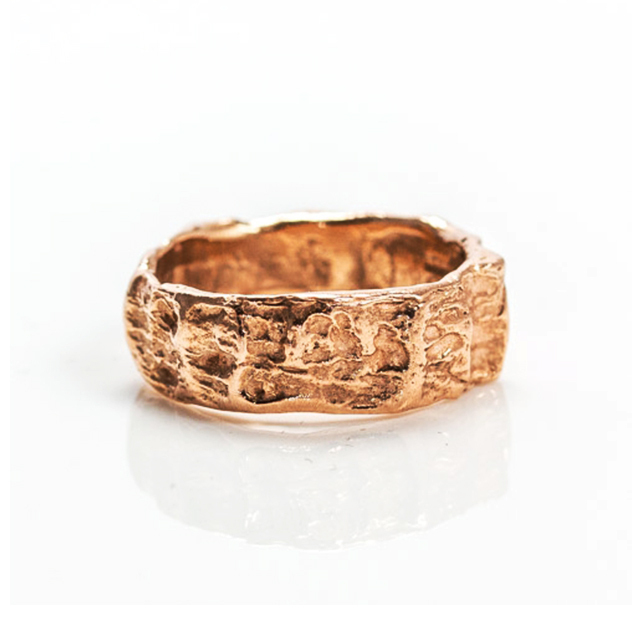 This design is also available in a medium and skinny band width – search ‘indent’ to see more of this style. We can order this item to fit any size in store.